Rapelang Rabana has been deemed a young global leader and through her innovative education offering, makes learning not only easier, but relevant and contextualised. Feedback on learning is important. Feedback on learning that takes relevance into consideration is superior. But having a combination of feedback, relevance and context all in one mix, now that is a step ahead. 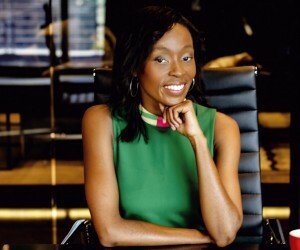 This is exactly the kind of innovation that has landed internationally renowned entrepreneur Rapelang Rabana on the World Economic Forum’s 100 Young Global Leaders list. With a world of knowledge at our fingertips, she is bridging contextual relevance and content in a way that is only possible now in the digital age. Rabana has received a number of accolades recently including featuring on the cover of Forbes Africa magazine before the age of 30, named by the World Entrepreneurship Forum as ‘Entrepreneur for the World’ and being a Fast Company Maverick. She is also part of the Forum of Young Global Leaders—a community comprised of approximately 800 entrepreneurial and socially minded leaders passionate about breaking down barriers that stand in the way of progress.“I continue to be stunned by all the accolades and gestures of support. Eleven years ago, when I started my entrepreneurship journey, all I knew was that I had to follow my instincts. I had no idea that tuning into the rhythm of my soul would take me so far,” Rabana recently told the media. BBQ decided to catch up with this global innovator and in an exclusive, she shares with our readers more about her road travelled to where she is today and her exciting plans for the future. 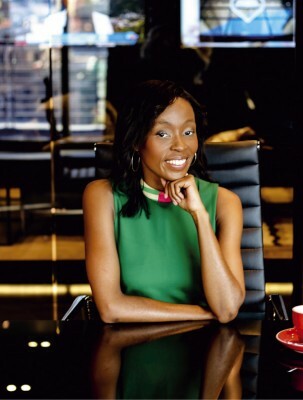 Born in Botswana, Rabana spent her early years attending Thornhill Primary School and later Roedean Secondary School in Parktown, Johannesburg. After completing high school she went on to complete a Bachelor of Business Science (Computer Science) at the University of Cape Town. Shortly after finishing university, at the age of 22, a “non-stop journey of entrepreneurship and self-discovery” ensued.Today, at the age of 33, Rabana is the Founder & CEO of Rekindle Learning and also an Executive Director at Nisela Capital. Her journey into the entrepreneurial and business world began in 2006 when she, along with two of her UCT classmates, co-founded Yeigo Communications which was at the time one of the earliest mobile VoIP (Voice over Internet Protocol) applications in the world. Rabana and her team were able to build a prototype within only nine months and because they had something to show that demonstrated their commitment, were able to raise funding. “The lessons that experience brought with it were innumerable and engendered in me a hardy belief in the power of diligence and perseverance—no doubt these lessons remain with me to this day,” Rabana says. After seven years co-founding, growing and selling Yeigo, Rabana was ready for a new challenge and took a giant leap by starting Rekindle Learning, a learning tech company that provides improved learning efficiency and reduction of time to competency for both corporates and academia. Rekindle Learning was profiled in the McKinsey Lions go Digital report as a “striking innovation” in mobile learning. Rabana also recently launched an online bridging programme, EnglishWordPower, for first-year university students to develop their English language skills and reach the proficiency levels required to tackle higher education. She says, “the #FeesMustFall movement has highlighted how imperative it is that universities become more inclusive and I believe that improving English proficiency and achieving language equity is a fundamental empowerment strategy.” Elaborating on the topic of the importance of technology in a socio-economic context and how it can help transform South Africa, Rabana says she believes that mobile technology is the most effective and scalable tool in delivering, facilitating and improving access to new services, products and critical social services across many sectors. Some of these she mentions is finance, business, education, health, retail, agriculture and government. She says internet technology acts as an enabler that can significantly reduce the cost of service delivery. Furthermore, she says, technology is a mechanism for expanding the reach of any given service to a larger market than was originally possible without technology. When asked whether there is enough emphasis on entrepreneurship in South Africa in terms of boosting transformation, she says there is certainly enough talk, but not enough delivery. According to Rabana a fundamental problem is that entrepreneurship means so many things—from freelancing, to a mom-and-pop shop; from high-tech innovation, to businesses employing thousands of people. In this light, she says each entrepreneurial exercise needs vastly different support and solutions instead of one broad brush stroke. “As part of a two-year project I am doing on the Global Futures Council on Innovation and Entrepreneurship, we are looking at how to categorise this better so that governments, cities or institutions wishing to promote entrepreneurship can better understand and define clearer the metrics of success. Various studies have indicated that entrepreneurial activity in South Africa is actually lower than in many other African countries. “This is despite the reality that, comparatively, it is far easier to do business in South Africa. We have to question how our society is creating dependent mind sets instead of independently minded entrepreneurs. While there are many initiatives to work on the broader ‘system’, we seem to avoid dealing with the human psyche or mind set. I believe all human beings are born with latent potential but this is not being realised,” she says. On the important topic of leadership, Rabana elaborates on her own style. She emphasises that she likes to keep communication channels as open as possible and is very transparent with her team. Rabana prefers it when information is free-flowing and widely shared so that everyone is empowered with the insights to act. She also likes to provide a framework within which we all operate and for people to act out of their own volition and drive to excel. The ability to have frank and open discussion is a critical part of her leadership style and she believes we can only progress if we are able to honestly reflect on what is happening around us. “Finding the right people for the tasks at hand also plays a vital role in maintaining overall efficiency. When employees are doing their job well for their own sense of personal satisfaction, rather than impressing me, I find things work best. I think my style has been instrumental in my businesses because in early stage start-ups, when you are trying to find a product-market fit, when you are trying to scale, you have to be highly aware and responsive to what is happening around you. This requires the ability to analyse without ego in order to adequately respond,” Rabana told BBQ. On the important topic of the relevance and importance of transformation in the technology sector, Rabana says technology remains critical for the enablement of services at a scale necessary for solving socio-economic challenges. She points out that the technology space is also incredibly creative where innovators build solutions based on their perspectives and lived experiences. “Lack of transformation means that we are missing out on the powerful perspectives of young South Africans who, using the unique context their life experience, would tackle the specific challenges facing us today,” she concludes.